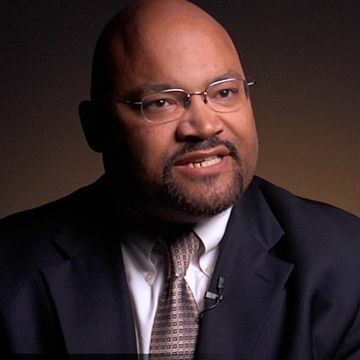 Cy Richardson is Vice President for Housing and Community Development and Senior Research Fellow at the National Urban League. In this role he is responsible for designing, implementing, and evaluating policies and programs that promote asset building and wealth creation for people of color in urban America. In addition, Cy leads a unit that provides technical assistance and capacity building guidance and instruction to the Urban League’s 98 affiliates across the country. He also conducts basic and applied research broadly related to the boost and blocks to building wealth in communities of color. Mr. Richardson served in various positions in New York City government between 1994 and 2002. He began his career in program evaluation and policy analysis as a researcher with the New York City Council, where he conducted surveys and focus groups of residents in low-income and public housing. Prior to joining the League, Cy was the Director of Land Use Planning for the Brooklyn Borough President. Cy earned his B.A. with honors from the University of North Carolina at Chapel Hill, a Master’s in City and Regional Planning from Pratt Institute and a MA in Political Science from the City University of New York’s Graduate Center.